From the moment the first catwalk model made her way onto the stage at the Anya Hindmarch show for autumn winter 2014 in London, we knew this was going to be a monumental occasion. Hindmarch had raided the supermarket for inspiration this season. Who could have ever pictured Tony the Tiger in leather? Who would ever imagine such a piece would be so chic? Well, it looks like it was such a hit that all pieces from the collection are presently sold out. Yeah, you read that correctly. Every single piece from the Anya Hindmarch supermarket aisle has left the building. It was like the fashion world was preparing for style Armageddon and grabbing all their fashion necessities in a frenzied rage. Reminds me of hurricane season in the Carolinas. We'll just say this. 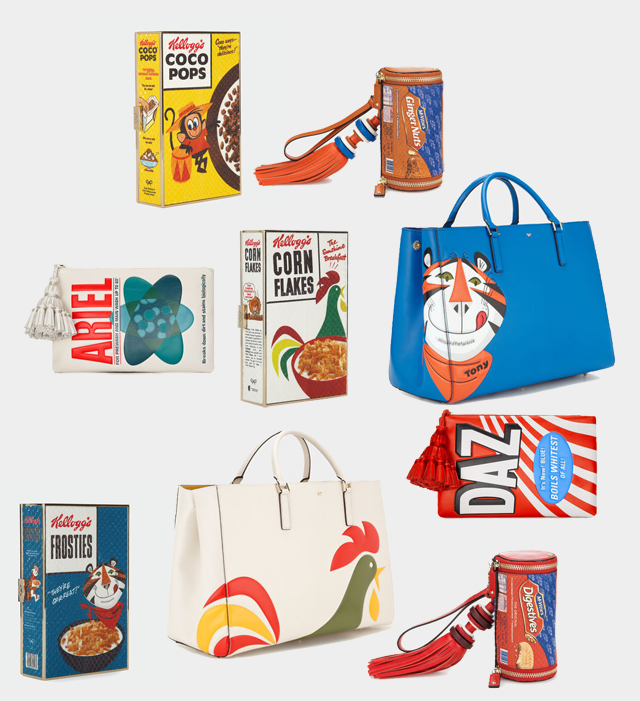 If you were dead set on owning a piece of the Anya Hindmarch supermarket sweep, there is a waiting list for each item. Please fashion gods, let Tony the Tiger come back with a huge number in stock.